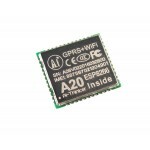 A20 is a wireless module that combine GPRS and WiFi, also it supports camera connection. It uses ESPRESSIF’s WiFi IC ESP8285 for the WiFi function. 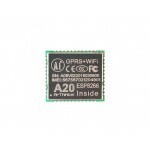 A20’s GPRS module and WiFi module can work separately, be powered separately. This is a good solution for your IoT device to connect internet all the time no matter where it is. Only GPRS. For this model, only provide power for GPRS part, then use MCU to control the GPRS by serial port. Only WiFi. Just like the only GPRS, only provide power for WiFi part, use MCU to control WiFi by serial port. WiFi and GPRS. Use 2 serial port to control WiFi and GPRS separately. WiFi as MCU to control GPRS. 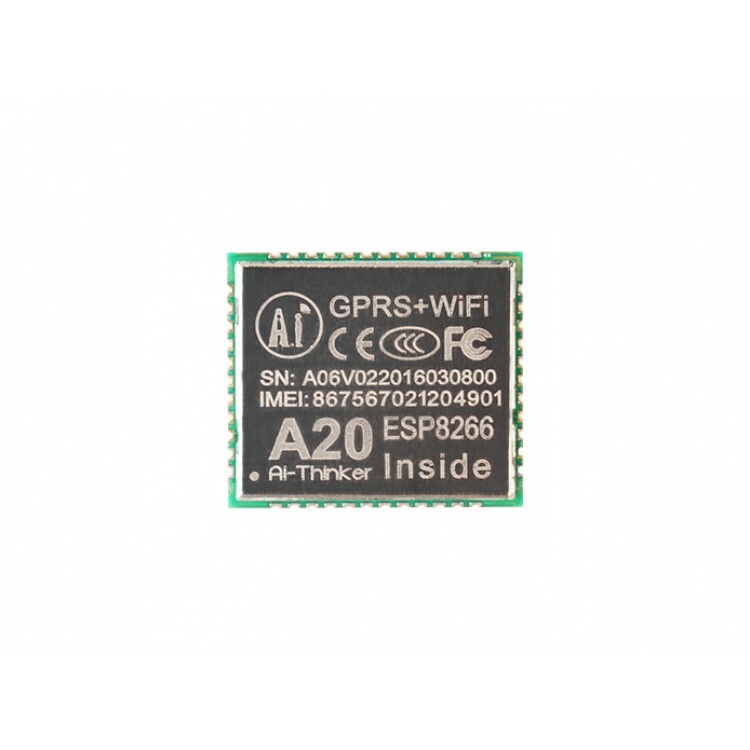 Under this model, you can use WiFi IC ESP8285 as MCU to control GPRS. Because there is only one two-way serial port, so user need to program ESP8285. Power, keep >1.9V for 2 secs the camera will power on, after that keep it on or off, the camera will continue, this pin only requires voltage, no need real power supply. Control sleep model, high level off, low level on. Under sleep model, current<1mA, and serial port is unavailable. 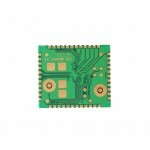 Phone call, SMS, GPRS can wake the module from sleep model. Flash light control pin, normally need additional amplifier circuit to power the LED light. 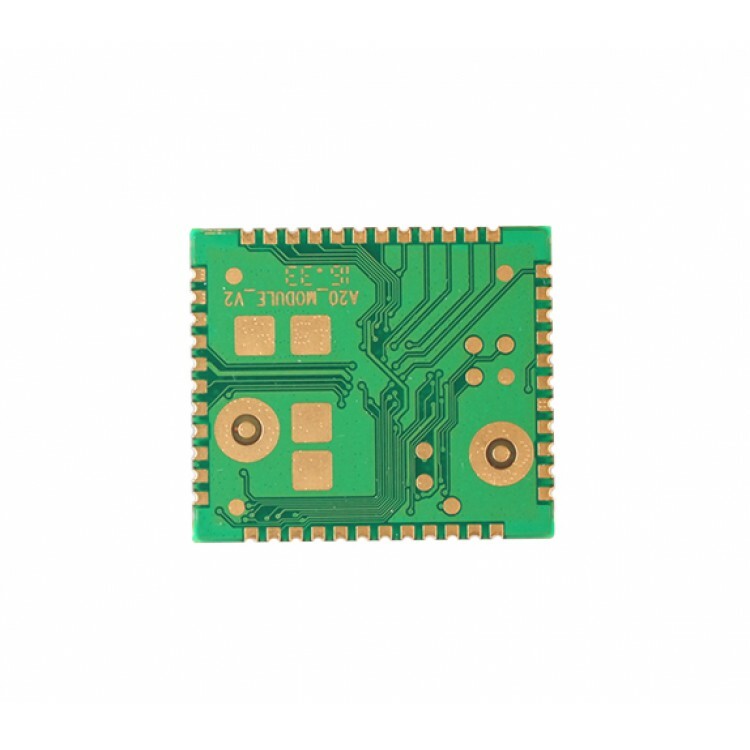 Normal GPIO pin, when there is call, SMS, GPRS data in, the module will automatically awake, this pin will output single, from high level to low level, falling edge trigger. Outside power in 3.5v-4.2v, the power supply’s maximum output current must higher than 2A, otherwise the module cannot work stably. 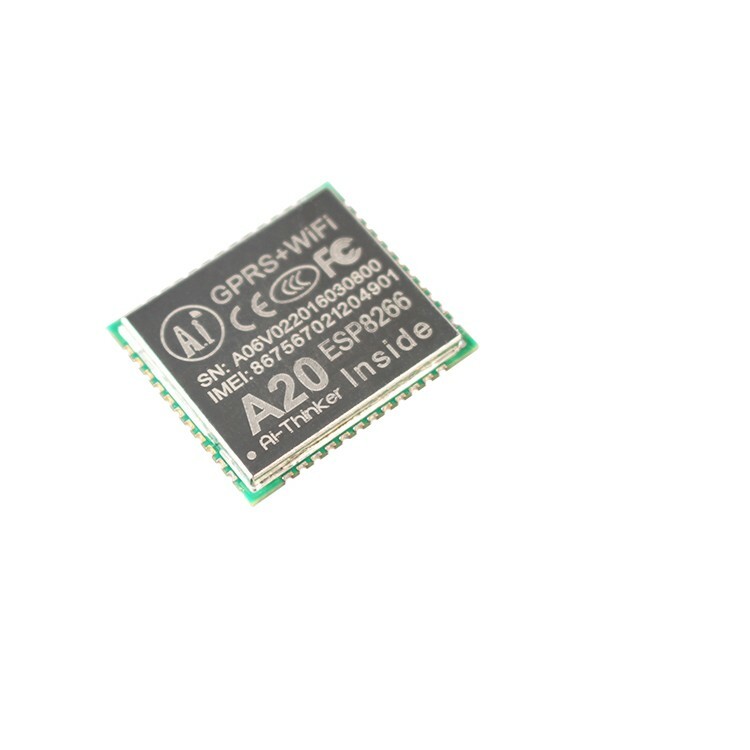 This pin also relates to some GPRS/GSM VCC. The camera port only support 0.3M pixel fix-focus camera. Support IC including OV7670, GC0328, GC0309. If you want to use other camera, you can contact us or the manufacturer for software support. 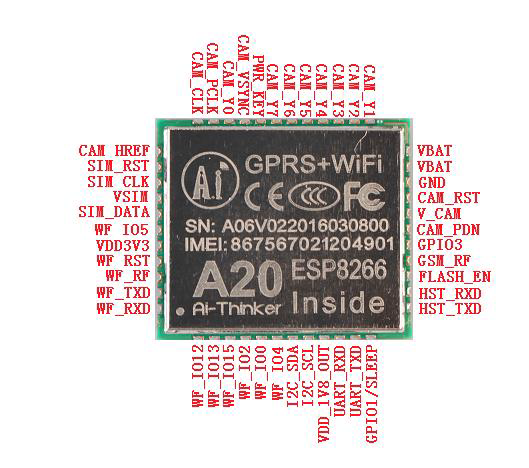 In the pin list, the red font pins are all for WiFi, the rest is all for GPRS. GPRS At serial port default speed is 115200.